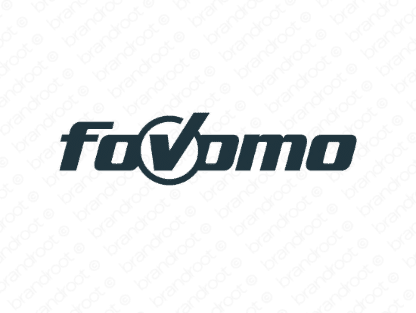 Brand fovomo is for sale on Brandroot.com! A rhythmical name hinting at the word "favorite" with a stylish and appealing vibe. Fovomo is a promising pick for a online content-curation platforms and apps or clever retail and shopping services. You will have full ownership and rights to Fovomo.com. One of our professional Brandroot representatives will contact you and walk you through the entire transfer process.